In this installment of the Future Grind podcast, host Ryan O’Shea is joined by bestselling author and futurist speaker Nikola Danaylov. 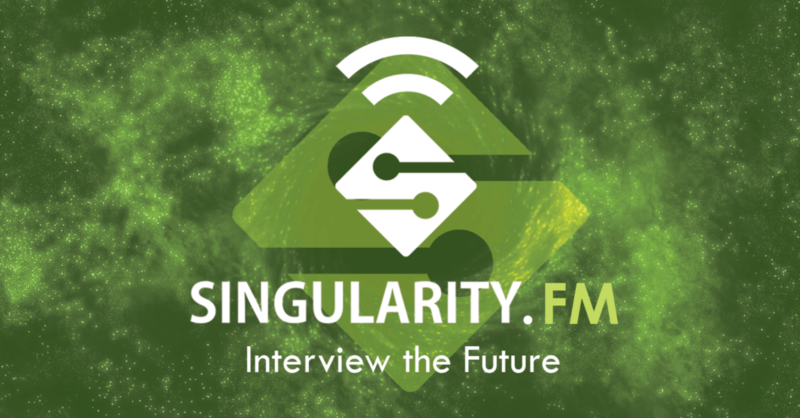 Nikola writes about the future at his website Singularity Weblog and hosts the Singularity.FM podcast. His 2017 book Conversations with the Future features highlights from his interviews with some of this field’s most noteworthy individuals, including Ray Kurzweil, Kevin Kelly, Verner Vinge, and more. They discuss the importance of ethics and the influence of Socrates in Nikola’s work, as well as his path from serving in the armed forces of Bulgaria to studying drone warfare in North America, and how that ultimately lead to his fascination with the technological singularity. It’s time once again for your frequent disclaimer that the thoughts of the guests on this podcast do not necessarily reflect the views of Future Grind or Ryan O’Shea. We’re posting in two forms, an audio podcast and a video podcast. Please subscribe to Future Grind via our YouTube channel, DTube channel, and iTunes feed as we have some exclusive content that is not posted on both channels. You can also find us on Facebook. Like Socrates of Athens, Nikola Danaylov is deeply in love with learning but keenly aware that his personal knowledge is always going to be dwarfed by his ignorance: a man who knows that he doesn’t know; a man with many questions and few answers of his own… Thus Singularity Weblog is, and will always remain to be, an open and collaborative work in progress. And Nikola is, and will remain to be, a student and a host, rather than a teacher or an owner. Yet, Nikola is of the strong belief that we can attain profound insights by asking challenging questions in the company of good people, gathered within an open, informal and interactive symposium. Danaylov hopes to be the midwife, and Singularity Weblog – the setting, where you come to examine the questions, search for your answers, challenge, be challenged and, ultimately, give birth to your own ideas. It is for this reason that, having spent the past 7 years producing over 1,000 articles and interviewing more than 200 of the world’s best-known experts, Nikola has gifted all his content for free – in the hope of helping you create a better future, better you.